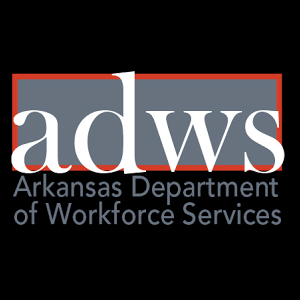 The Arkansas Department of Human Services is seeking a DHS Chief Operating Officer (COO) for the Arkansas State Hospital (ASH) to provide administrative financial direction for the only acute psychiatric inpatient hospital in the state. The COO is responsible for directing, organizing, and coordinating hospital and department policies, hospital programs, and processes by supporting the hospital’s mission to provide quality services through inpatient and outreach services and for developing accountability systems tied to performance throughout the hospital. This position is governed by state and federal laws and agency policy. The Arkansas State Hospital mission is to provide psychiatric services that promote recovery in a safe and caring environment. ASH is licensed by the Arkansas Department of Health and the Centers for Medicare and Medicaid Services, and are accredited by Joint Commission (JC). The hospital has nine units and 222 patient beds in three service areas: General Adult, Forensic, and Adolescent. The formal education equivalent of a bachelor's degree in health care administration, social work, public administration or a related field; plus ten years of progressively more responsible experience in health care administration or a related field, including five years in a professional managerial capacity. •	Master's Degree in public health or hospital management, business administration or relevant field. This position provides a competitive starting salary from $134,406 to $167,000 depending on qualifications, and excellent benefits including group health and life insurance, state retirement plan, and a tax deferred compensation plan, holidays and annual leave time off. This executive position is located in the capital city of Arkansas, which comprises a metropolitan area of some 500,000 people. The state of Arkansas (The Natural State) offers one of the finest systems in the nation of state parks, recreational lakes, mountain trails, and exceptional natural forests for biking, camping, fishing, and family retreats.